The Derrick ACD-1500 Atmospheric/Centrifugal degasser is a unique in-tank alternative to the standard Derrick vacuum style Vacu-Flo 1200 degasser. 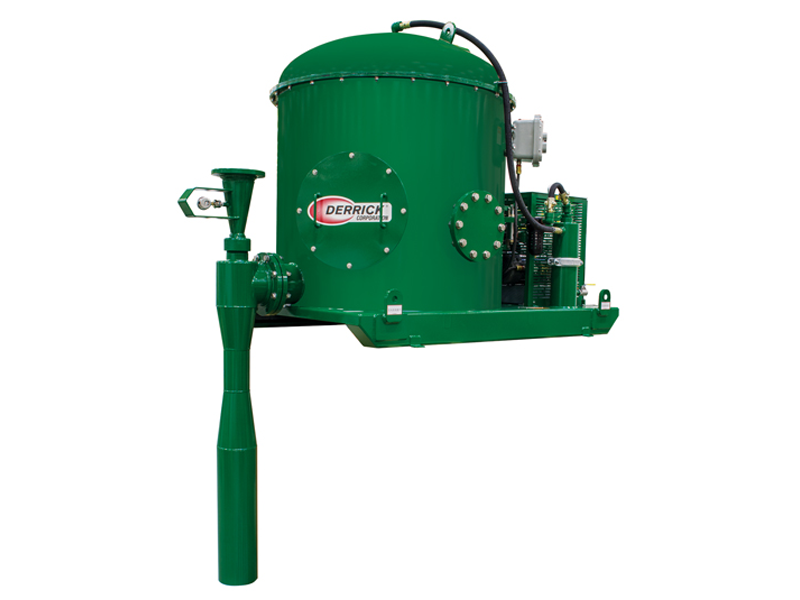 The Derrick ACD-1500 degasser agitates mud through a submerged 12” pump impeller relying on impact and turbulence to enable the separation of gas from the fluid. Strike plate adjustment of 0.25” to 1.25” allows variable flow capacity. The ACD-1500 degasser satisfies the NEC Class I, Division 1, Group C and D explosion proof electrical requirements for the equipment voltages 460V/3phase at 60Hz or 380V/3phase at 50Hz.